World Bank and IMF officials and finance and development ministers will meet during the 2018 Annual Meetings in Bali, Indonesia, from 12-14 October. The Civil Society Policy Forum (CSPF) will take place from 9-12 October. Civil society and grassroots organisations are organising several parallel events in Bali. A two-day Peoples’ Global Conference Against the IMF-WB is being organised under the title “Reclaim our rights and future: Fight corporate takeover of development!”, closing with the Peoples’ March Against the IMF-WB on 14 October. 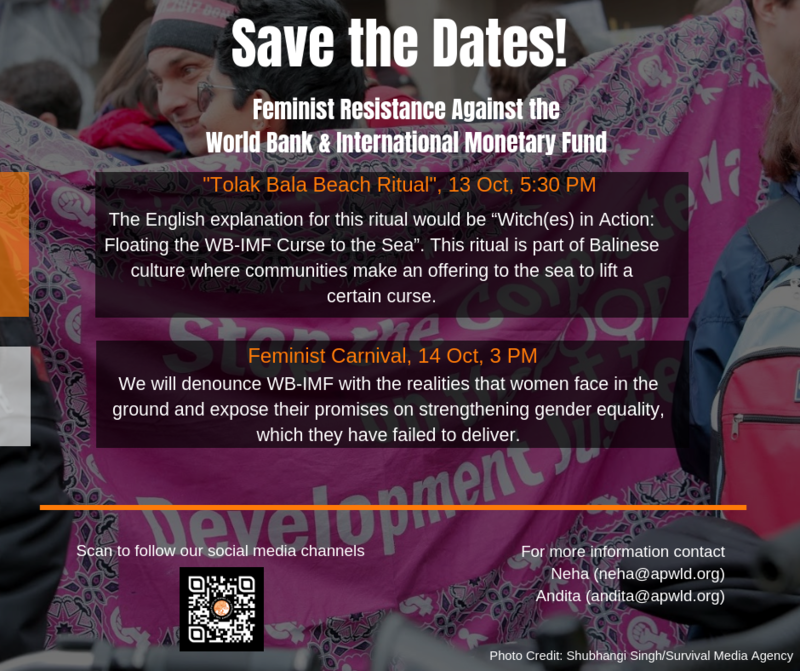 A public mobilisation on inequality will be organised on 10 October, spearheaded by Gerak Lawan (World Beyond Banks), a Peoples’ Summit on Alternative Development is taking place from 8-10 October, and a Feminist Carnaval is closing the week on 14 October. 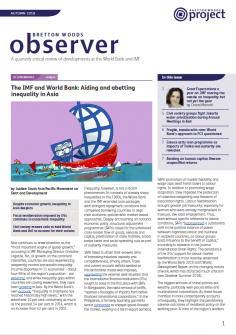 For more coverage of the World Bank and IMF Annual Meetings in Bali, check for updates on BWP’s Dispatch, which provides analysis of the meetings’ communiqués, notes from CSPF seminars and more.